On Monday, April 23th, great Chablis winegrowers were represented in Brussels by officials of Interprofessional Bureau for Burgundy Wines. Officials of the appellation Chablis wanted to present their best by offering guests hand-picked (journalists, Belgian producers, importers, guilds wine, wine writers) escellents ofChablis, Petit Chablis, Chablis 1er Cru and Chablis Grand Cru, together with artworksand fatness. 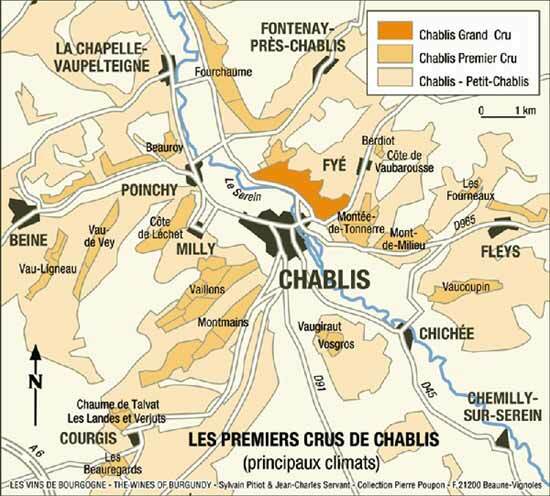 Artists had submitted works of art related to Chablis and prizes were awarded to threelaureates. Regarding the food, participants were delighted to taste the Chablis in connection with superb dishes, hot and cold, that illustrated the caracteristics of Chablis wines, often minerals, fine and chiseled to adapt to different dishes. Participants loved St.Jacques walnuts, pata negra, smoked salmon, risotto of wild mushrooms. Officials of the appellation Chablis had the intelligence to organize a demonstration to promote successful trèsn who carried the flag for vignobe Chablis.